The best has got to be the water activities. The sparkling ocean surrounding the island offers generous opportunities for every possible water activity - above the water, on the water, or underwater! Sportfishing is mighty popular here - some of the best in the world! Sailing is another great treat, along with scuba diving, snorkeling, dolphin encounter programs, and watersports activities like jet ski, kayak, paddleboard, and so much more. 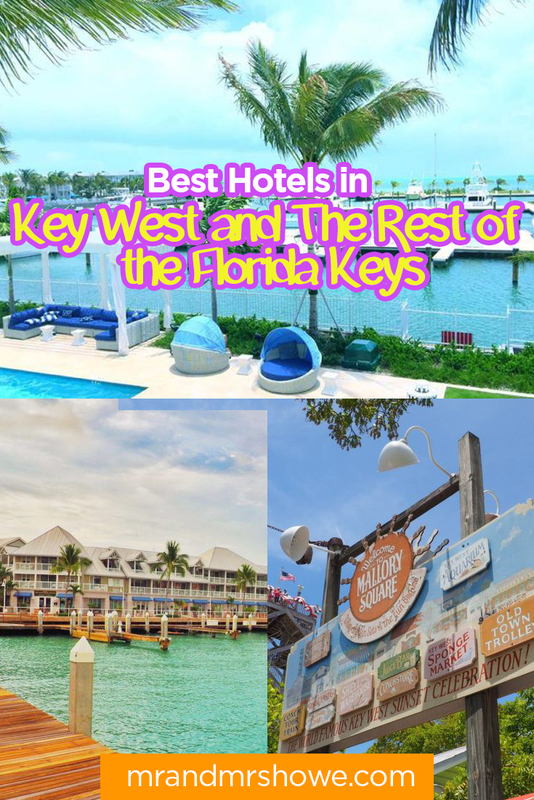 Warm, laid-back and effortlessly relaxing, Key West is the southernmost city in the USIt'slovely tropical weather attracts tourists year-round and its sparkling waters keep them coming back for more. The problem with The Gates Hotel Key West is it makes it difficult for you to leave! It has everything – plush accommodation, excellent facilities, good food, and even a Cuban cigar lounge and its own private-label selection of specialty rums and handcrafted cocktails served at the Cuban-style bar. Talk about getting spoiled! Life is a party here - as evidenced by the daily pool parties in front of its in-house food truck that offers tapas-style food. Rooms are modern yet rustic and eco-friendly too, featuring reclaimed whitewashed beams and pine platform beds. Leather chairs and hardwood floors create a stylish and classy look while deluxe amenities like Peshtemal bathrobes, Turkish towels, Key West Aloe bath amenities ensure your comfort. Eclectic rooms, unique atmosphere, kind service, friendly staff - the list of things to love about Casa Thorn just goes on and on. This bed and breakfast charms with elegant and quirky accommodation and its unique cozy home feel. Each room is spacious with indulgent beds and baths. The pool, sun terrace, and garden are lovely facilities, and the free breakfast is simply the best! Postcard Inn Beach Resort & Marina is an oceanfront dream. It is just like having your own boathouse! The vibe is nautical with white beddings and the many shades of blue in the overall sleek design. It calls to mind an old-school American beach vacation, perfect for families trying to bond over a much-deserved holiday. The rooms are expansive with mesmerizing ocean views and close to the beach or pools. Also, all sorts of adventures can be experienced here with the many non-motorized water sports facilities. Try the floating trampoline, paddle boards, peddle boats, bicycles, or kayaks and have fun by the water all day long. Be sure to drop by the Holiday Isle Tiki Bar too - the original home of the rum runner cocktail invented here in 1972! Located on the waterfront, Parmer's Resort lets you experience the laid back lifestyle that made the Keys famous. Individually decorated rooms spread over five acres welcome you on arrival. You can select from cottages, suites, or guest rooms and find the comfort and privacy that you need. Amenities include a balcony, refrigerators, cable TV, bathtub or shower, and free Wi-Fi access. Some rooms look out to the water. There is a marina on-site, plus a garden and an outdoor pool with sun loungers and umbrellas. 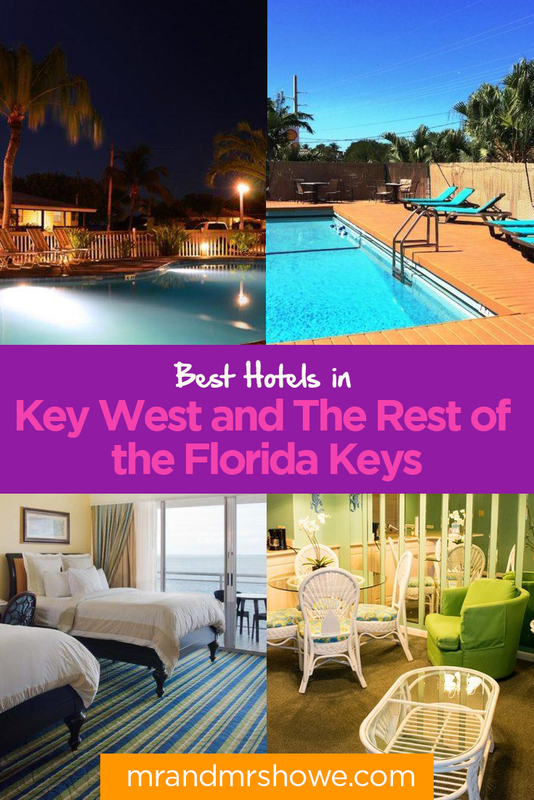 Popular attractions nearby include beaches of Bahia Honda State Park and diving at Looe Key Reef. There are plenty of opportunities for backcountry, reef, and deep water fishing, too. Key Largo is the first and largest section of the Keys. It is a diver's haven and is home to the largest artificial reef in the world, the 510 ft USS Spiegel Grove.